Line of Credit VS Business Loan - Which Will Work Better For You? There are different types of financing that you can obtain as a business owner. The most popular are a line of credit or a business loan. Which will work better for you will mostly depend on what it is you want to do with the proceeds. When you take in business loan, you receive all the proceeds of the loan once the loan closes. That means that you will have full access to the money, to use for whatever the intended purpose. Lines of credit work differently. When you apply, the intention is to gain access to a revolving line of credit, much like a credit card or a home equity line of credit on your home. You are granted a line of credit for a certain amount of money, which you can take as you need it in the future, or take it all at once upfront. In essence, a business loan is a one-time source of capital, while a line of credit is an ongoing source that you can access at any time, as long as you have credit available on the line. And as you pay down the amount that you owe on the line of credit, you will increase the cash available for further draws. Business loans typically require that you make a fixed monthly payment. Payments usually begin immediately (or within 30 days) and will continue until the loan is fully paid. The amount of the loan payment does not change even as the balance of the loan declines. With a line of credit, you will only have a payment if you owe an outstanding balance on the line. The payment will be based on the amount that you owe, rather than a fixed monthly payment. For example, a line of credit may require only that you make monthly interest payments on the amount you owe. Other times, they will calculate interest plus a certain amount of principal repayment as part of your payment. Also with a line of credit, monthly payments can go up or down, as you pay off your loan balance, or as you increase it with additional draws. Business loans are sometimes referred to as "term loans" because they must be repaid over a predetermined period of time. This is typically anywhere from one to 20 years, depending on the loan terms. Payments on lines of credit are not based on a fixed term, but rather on the amount that you owe on the line. For example, if the lender requires that you make a monthly payments equal to 2% of the outstanding line balance, and you owe $10,000, your monthly payment will be $200. If you take an additional draw of $5,000, raising your balance to $15,000, your monthly payment will be recalculated at $300 per month. Generally speaking, monthly payments on business loans will be higher than they are on lines of credit due to the need to pay the loan off in a relatively short term. Fees will be different between business loans and lines credit. In most cases, business loans will come with upfront fees, the most important of which is an origination fee. An origination fee represents a percentage of the amount of the loan you’re taking. These fees are generally anywhere between 1% and 6% of the business loan amount. Lines of credit typically do not come with origination fees, largely because you are applying for a line and not for a fixed loan. However lines credit often charge a draw fee each time you take a draw on the line. A draw fee is usually a fixed amount, say $50, so if you take five draws against your line of credit in one year, you will pay $250 for the privilege. This is where we can shed some light on which loan type will work better for you - it's all in how you intend to use the loan proceeds. Business loans work best for long-term capital costs, such as buying equipment for the business. Since the equipment will last a number of years, the loan term can be roughly matched to the number of years that the asset is expected to be productive. This will not only avoid the need for a large out-of-pocket outlay for the equipment, but it will also spread the purchase price out over several years. A line of credit is better used as a source of working capital, to pay short-term operating expenses, such as the acquisition of inventory, the payment of payroll, or a surge of expenses that is expected to take place within the next few months. 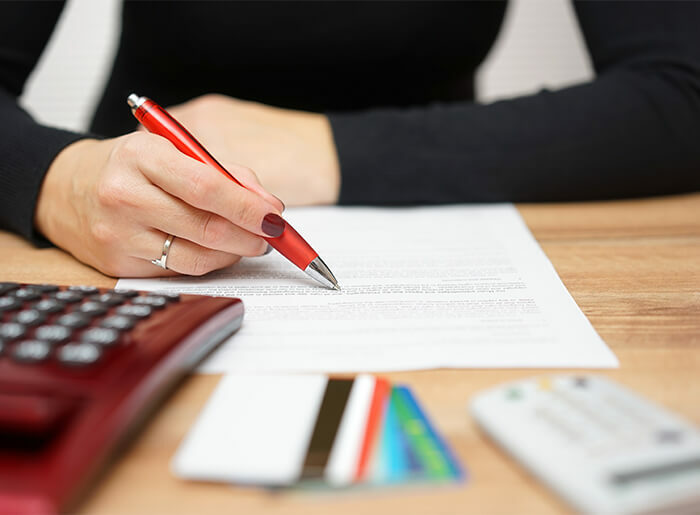 Lines of credit act as an additional source of cash to cover these needs, and you don't need to access it until the expenses are actually due and payable. As income catches up with expenses, you can repay the line. A business loan should be taken when a specific capital expenditure is necessary, while a line of credit should be taken before it's even needed. The difference being that the loan has a very specific purpose, while the line mostly acts as a reserve to even out cash flow disruptions. Decide what it is you want the financing to do for you, and you will know whether to take a business loan or line of credit. As a top notch lender and a renowned resource in the financial community, Leaders provides both loans and cash advances and will help loaners determine which one their business really needs.